Background/Info: Belgian proud and master of dark-(h)el(l)ectronics is back on track with the first new album in 4 years. Johan Van Roy has often took the time to accomplish new studio work, but this production also is something special as it was a way to chase personal demons… Notice by the way this album is also available as double ‘deluxe’ disc, as double vinyl together with a CD and last, but not least as a special ‘fan edition’ 4-CD box. Content: “Forest Of The Impaled” has been introduced as being the darkest and most intimate work of Suicide Commando to date. The opening cut featuring Nero Bellum (Psyclon Nine) definitely sounds as one of the most tormented songs in the band’s history. 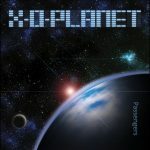 But if you think that all the upcoming songs are sounding similar, you’ll be surprised to discover slower compositions. Johan Van Roy also experimented with new ideas, revealing a more sophisticated and intelligent writing process. I noticed songs with refreshing bleeps and even some minimalism. There also is one of the most EBM-minded songs ever written by Johan Van Roy. This is the already familiar “The Pain That You Like” featuring Jean-Luc Demeyer (Front 242, Under Viewer, 32 Crash) on vocals. 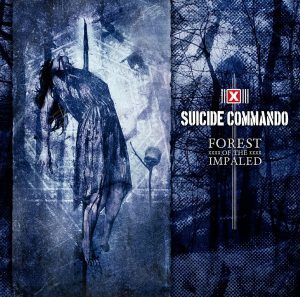 “Forest Of The Impaled” reveals a mix between some classic Suicide Commando songs carried by icy sequences, bombast-industrial rhythms and the harsh vocals of Johan at one side and some refreshing pieces at the other side. + + + : “Forest Of The Impaled” probably is the most diversified work of Suicide Commando ever. Another obscure and tormented cut is “The Devil” on, which you get the impression that a demon is singing. The album is merging the unavoidable ‘classical’ dark-electro cuts with a few more ‘minimal’-driven cuts revealing a different approach in the sound treatments plus an EBM-inspired song featuring Jean-Luc Demeyer. This is probably not the album that will enter into history as the ‘best’ album of the artist and yet there are a few outstanding pieces featured. The opening track “The Gates Of Oblivion” featuring Nero Bellum truly is a real masterpiece. The song together with Jean-Luc Demeyer is another essential cut, but I also enjoyed the ‘modernism’ running through “Chasm Of Emptiness” and “Crack Up”. One more interesting cut is the sophisticated “Schiz[o] topia”, which comes closer to the style of Mentallo & The Fixer. – – – : I just noticed a few single cuts, which left me rather unmoved. “Too Far Gone” and “Poison Tree” aren’t exactly the songs that will enter into Suicide Commando ‘classic’ hits. Conclusion: Every single new Suicide Commando album always is an event. I don’t know if it’s the artist’s darkest album ever, but it clearly and once again deals with pain and torture. Suicide Commando has chased its demons on “Forest Of The Impaled” with music that sounds even more evil than the most dangerous demon! Best songs: “Chasm Of Emptiness”, “Gates Of Oblivion feat. 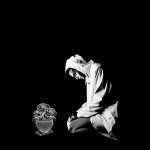 Nero Bellum”, “Death Lies Waiting”, “The Pain That You Like feat. Jean-Luc Demeyer”, “The Devil”.